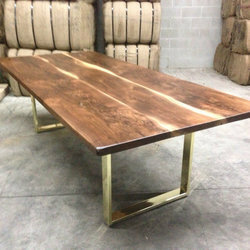 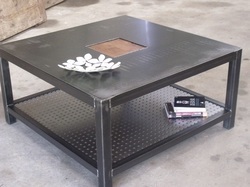 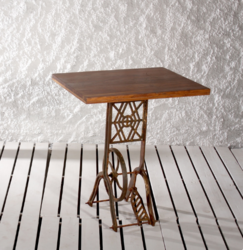 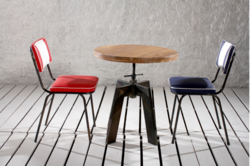 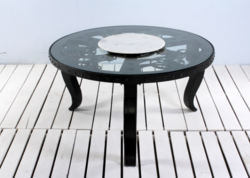 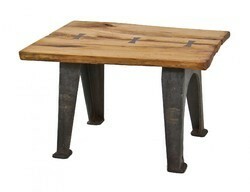 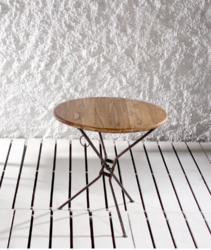 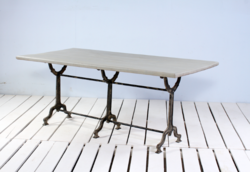 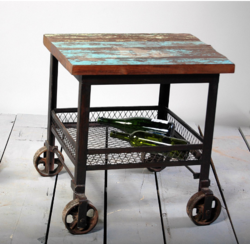 We are a leading Manufacturer of industrial outdoor metal leg coffee table,live edge top table, steel and wooden bench, industrial furniture, industrial heavy duty cast iron machine base coffee table, industrial cast iron machine base coffee table, industrial center coffee table and recycled wood coffee table from Jodhpur, India. 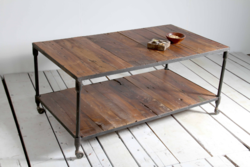 Size 60 inches long, 11.25 inches wide, 14.5 inches tall. 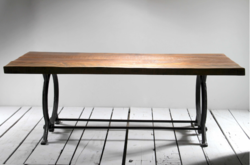 A slab of reclaimed barn wood seems to float in mid-air, while square steel tube in a clean-lined shape wraps around it for a simple, modern look. 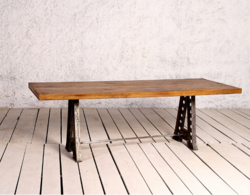 Ideal for an entry, the foot of a bed, or any nook that needs seating, this piece makes a subtle, refined statement in any environment. 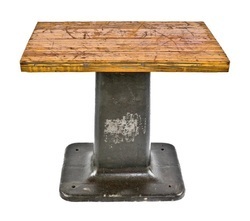 The bench legs are equipped with levelers to ensure a perfect fit. 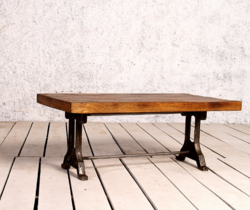 This is a bench that will age well and live beautifully. 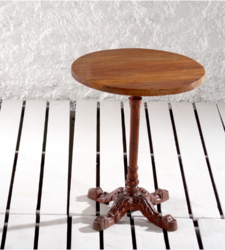 We make our furniture with purpose, and we make it well.